Summary: Hey, guys! 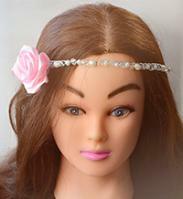 Wanna make your own hair accessory at home? 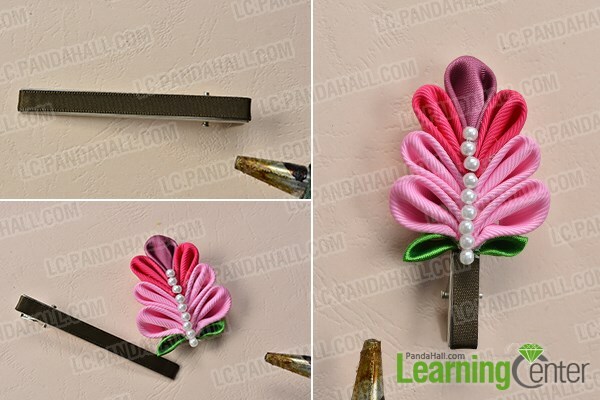 Today I will show you how to make a lovely hair clip with ribbons and pearl beads. Check it out! 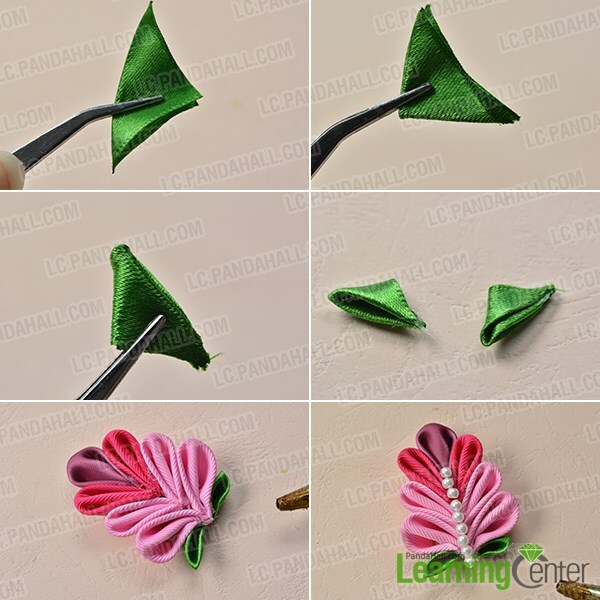 I believe my tutorial would be helpful for those who are seeking for ideas on making hair clip with old bare hair clips. 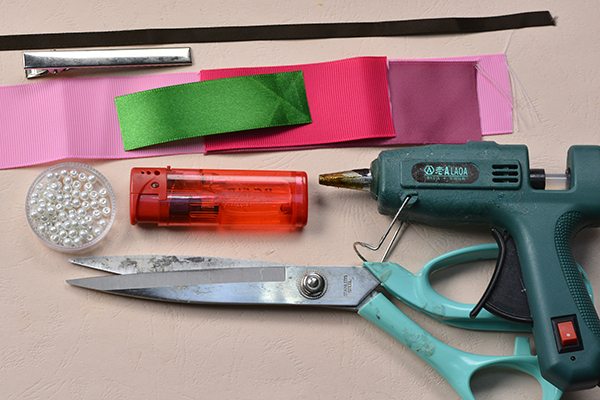 So just get ribbons, pearl beads and tools prepared, let's start this diy flower hair clip project! 7th, repeat above steps, and make enough petals. 5th, add 4mm white pearl beads to create a dividing line as pictured. 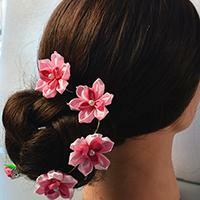 2nd, glue the flowers on the hair clip. 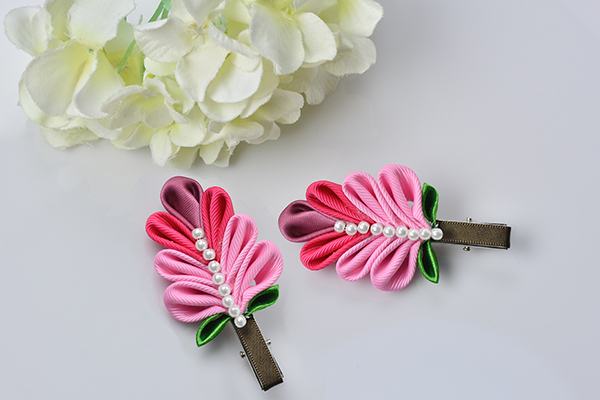 This pair of pink ribbon floral hair clip is really perfect for little girls since they would love the color and the design as well! If you have a little princess or if you just want to make something for little girls, then you should try this diy project!